Jessica Joanis, senior coordinator of field development for Autism Speaks, said just a few changes can make a big difference for those on the spectrum. "It's a great way for families to come out and enjoy something that might be a little bit too sensory overload for somebody who's living with autism," she said. It's also a good way to educate the community at large, she said. "There's definitely a big awareness piece as well," Joanis explained, "to understand what it is that somebody living with autism goes through and what their challenges may be." Autism Up will be handing out educational pamphlets in the concourse. The Red Wings have designated a section exclusively for guests who have family members with autism, and a 'safe zone' will be open throughout the game for children who need a quiet place to go. 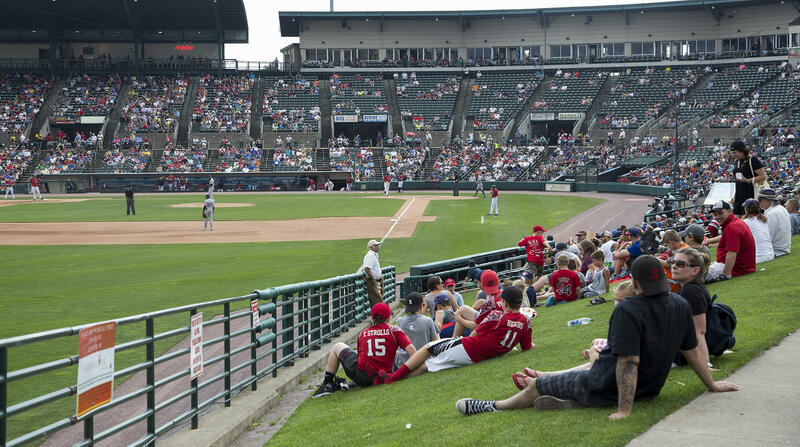 The Red Wings are hosting the Lehigh Valley IronPigs at 1:05 p.m.